The history of the Chevrolet Camaro is full of twists and turns but mostly features excellent sales, innovative design, and powerful performance. This year, the Camaro is celebrating its 50th anniversary – with a Camaro 50>th Anniversary Edition – so we’d like to take a moment to look back on some of the best versions of this classic muscle car. The first generation Chevy Camaro showed the Ford Mustang who is boss and paved the way for many muscle cars to come. The fifth generation Chevy Camaro was a comeback car, after a brief Camaro hiatus, and quickly sold 500,000 units. The third generation Chevy Camaro introduced the first-ever Camaro hatchback, which would ultimately become an American staple. The second generation Chevy Camaro was one of the longest running editions, spanning from 1970 to 1981, due to its popularity. The sixth generation Chevy Camaro is easily the best edition of the Camaro yet, at least from the perspective of performance and technology. 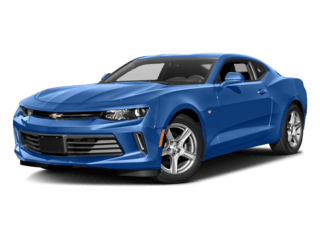 Want to check out the 2016 Chevy Camaro or learn more about the upcoming Camaro 50th Anniversary Edition? Feel free to visit us anytime at Chevrolet Center.